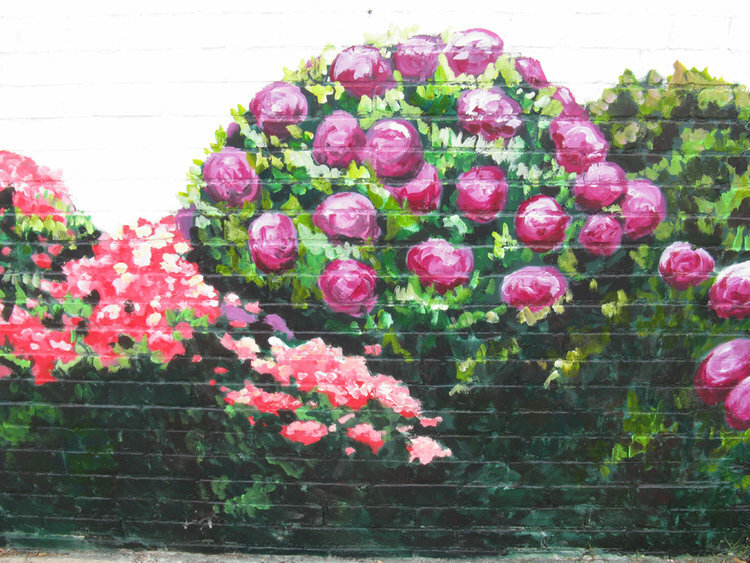 Whether it’s a nature center, library, sidewalk or public park, place-making is an essential part of creating a thriving community, and public art is the best way to start that process! 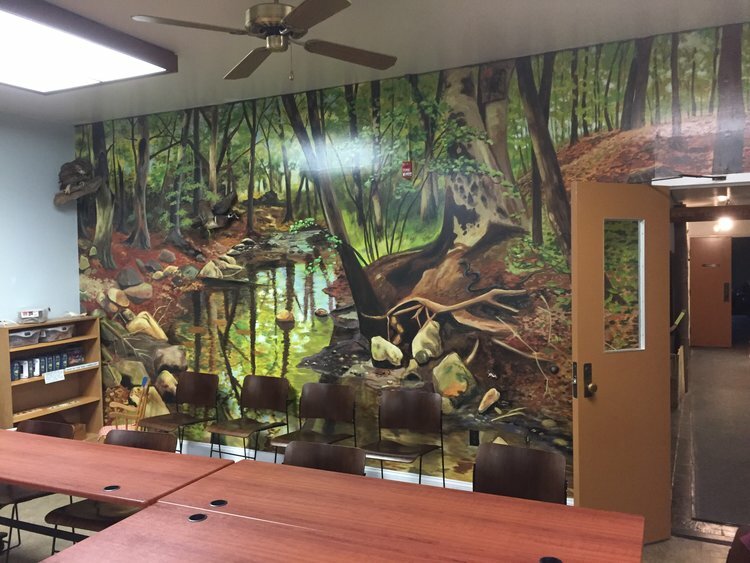 Use the resources and extensive experience BB Murals has to design, fabricate and install a winning masterpiece that will create a unique experience for the community at large. 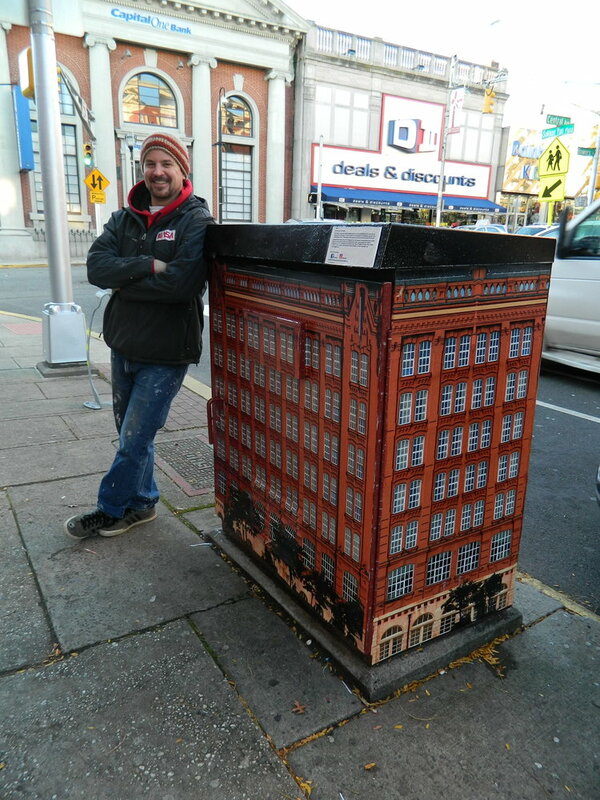 After applying to a national call to artists request for proposal to decorate the number of traffic utility boxes that scatter Central Avenue in Jersey City, I was selected to install two such boxes. 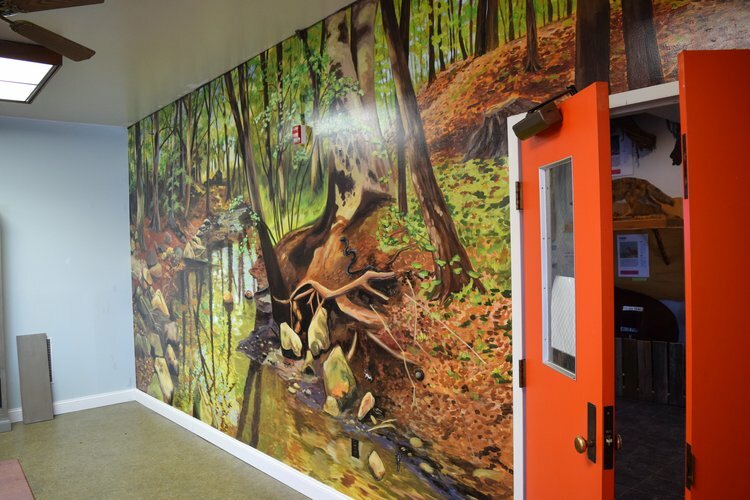 The materials used are a combination of vinyl wrap and exterior acrylic paint, then coated with a polyurethane finish. Thanks to Director David Diaz, who showed us around Jersey City, enlightening us about it’s rich history and even treating us to an authentic Cuban meal! My son and I loved it! but new book shelves, counter top and sink, and new floor tiles. 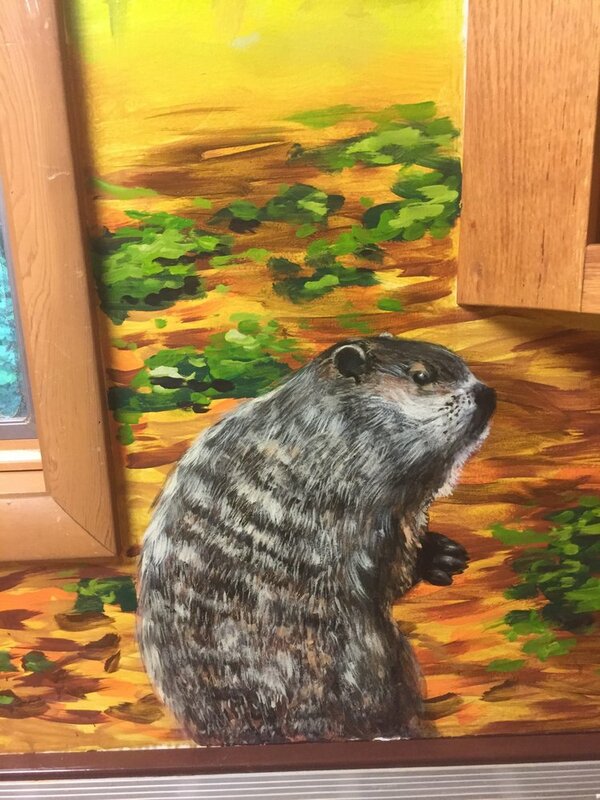 For two years in a row I was hired as Artist-In-Residence to facilitate a one day mural event at Pointers Run Elementary School. 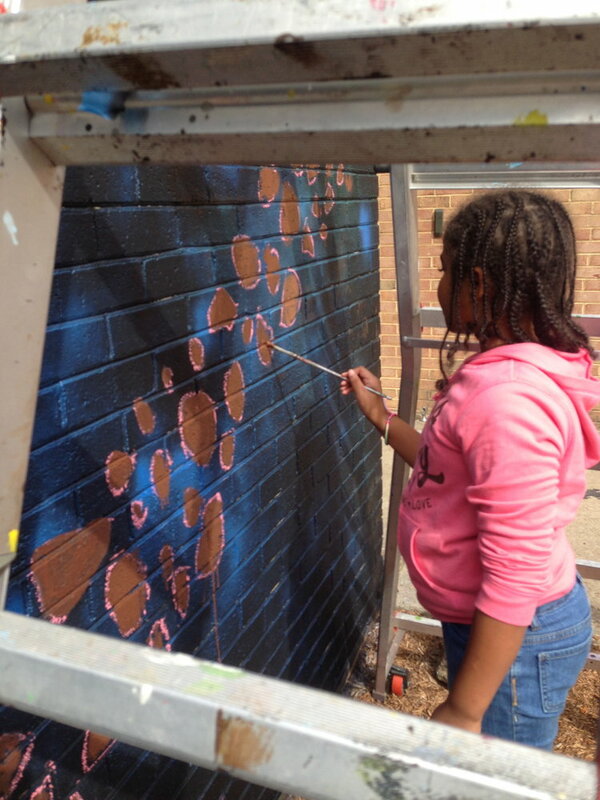 Our project was one of several that day as others re-painted the school play lot lines, built outdoor classroom tables and weeded the garden. 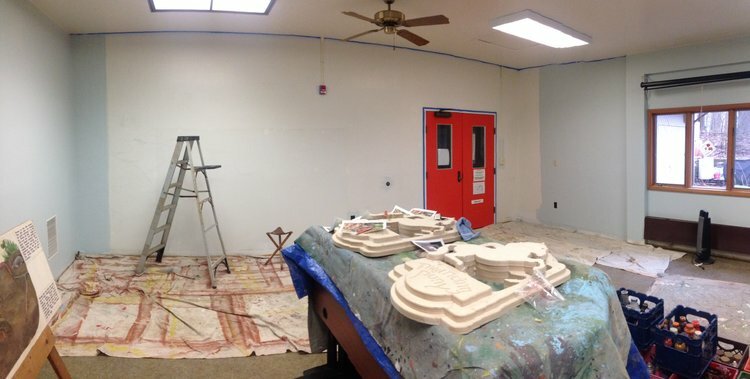 As you can see we had a solid turn out of volunteers, mostly painting the base coats. 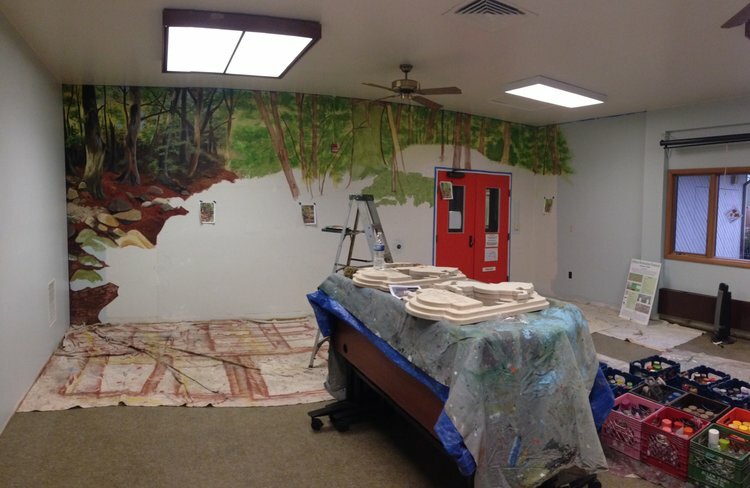 After that initial day, I would come back and “touch up” the artwork before it’s considered complete. The pictures tell the story much better than I can! 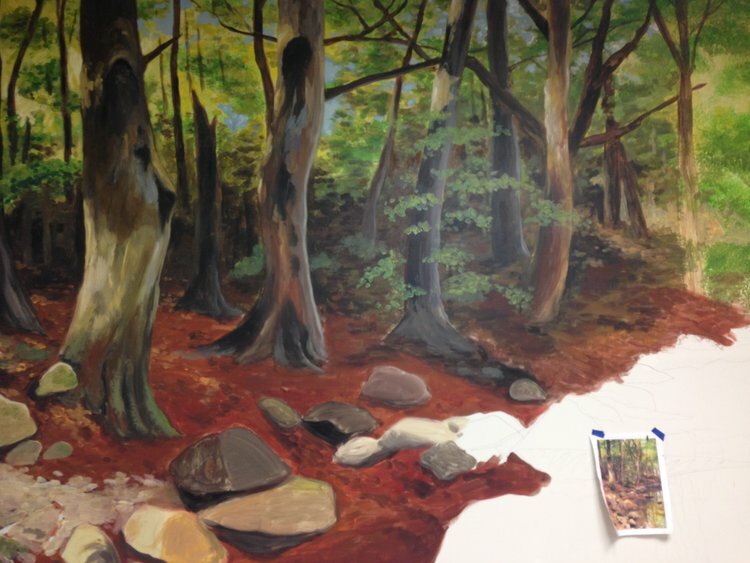 The first of two murals I painted for the Baltimore County Parks & Rec. 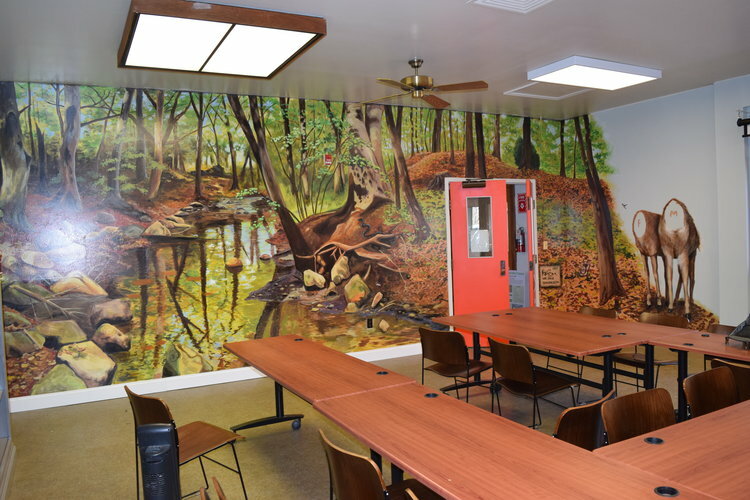 Oregon Ridge Nature Center, the Reptile room hosts an active bee hive that was the focal point of the mural. I included a handful of hexagonal hive cells to act as display areas for information the center employees could add and change as needed. 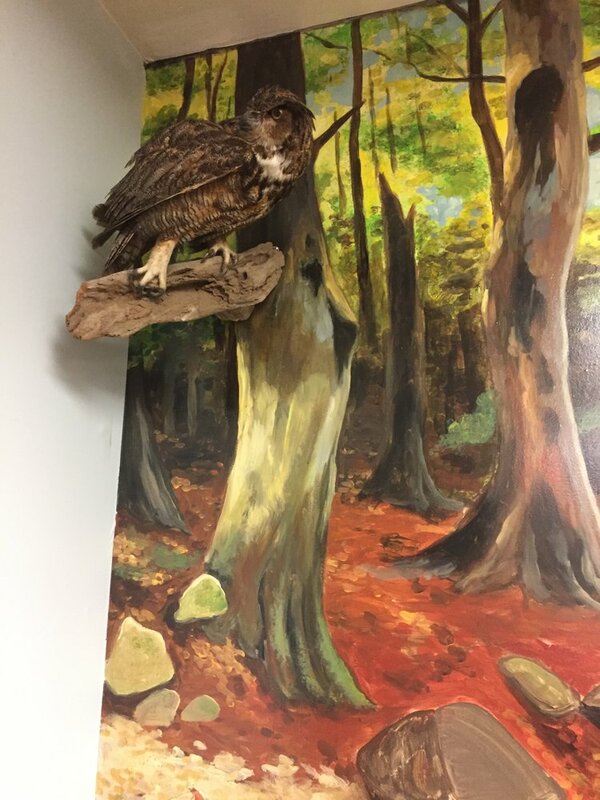 Also included in the mural is an opossum, gray fox, deer, snakes, and birds like the pileated woodpecker. This took about 7 days to complete. 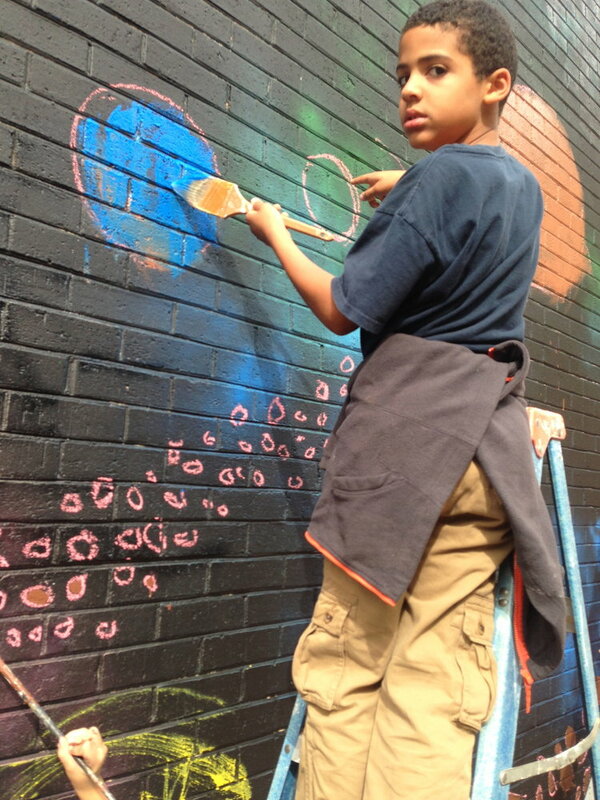 In 2012, I was chosen as one of five artists to complete a mural for the city of Baltimore through Baltimore Office of the Promotion of the Arts. They supply the paint and scaffolding while I supply the design and labor. 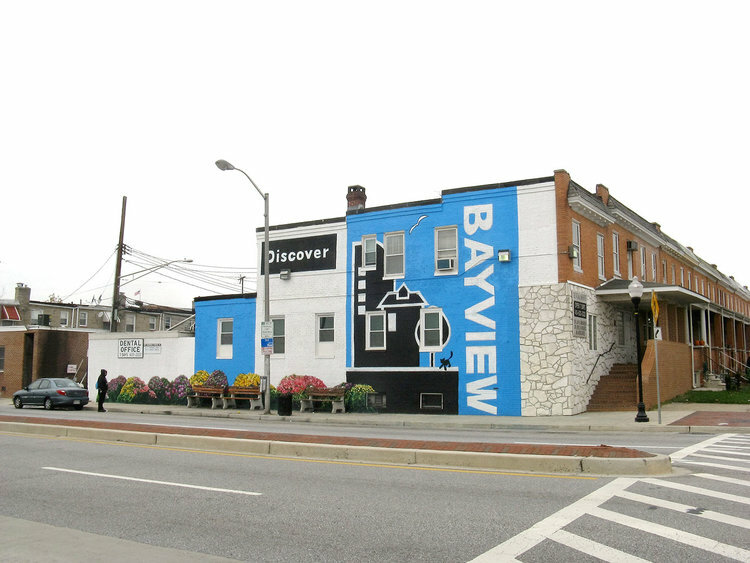 This design is a welcome sign to the neighborhood of Bayview and was partially sponsored by Johns Hopkins Hospital. 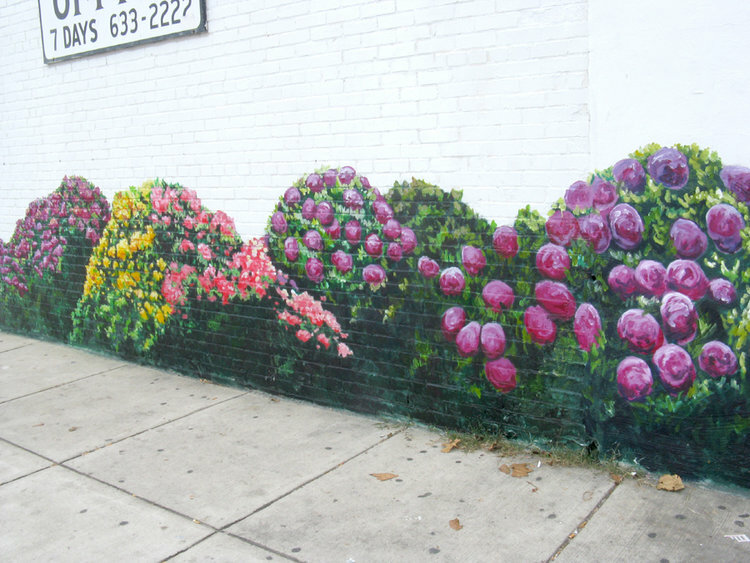 It is located on the corner of Elrino St. and Eastern Ave. in Baltimore. One interesting anecdote about this project was that one night I stored several 5 gallon buckets of paint up on the top level of the scaffolding thinking, "Who would climb all the way up here and mess with it?" Well, that night someone did, and the following morning I was greeted with two story drips of black running down the face of the mural and splatter on the sidewalk below. Needless to say the rest of that day was spent restoring everything to its proper look. I did get to test my skills at faux concrete though, choosing to paint over the splatter and puddles instead of trying to remove them. Never found the culprit. Another Outdoor Classroom Initiative for Howard County Public Schools. This one features the Lifecycle of a Butterfly and is at the location where the Science Class students unleash their own Monarch Butterflies after hatching from their cocoons. I had a swarm of student volunteers during this one day event and then returned the following weekend to finish the details.